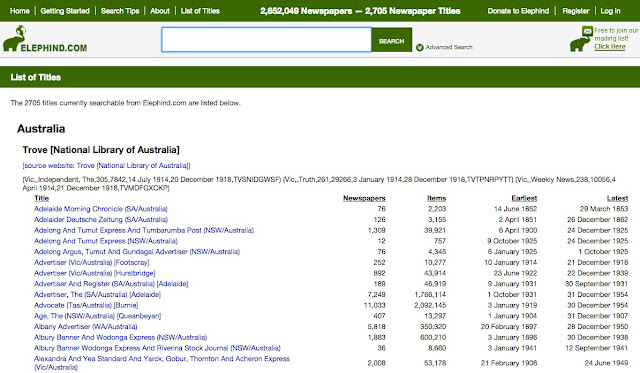 You’ll recall that Findmypast added the PERSI index to their website back in February 2014. As part of that partnership, Findmypast is digitizing indexed articles, which increases the value of PERSI by several orders of magnitude. While I hope Findmypast can negotiate posting of recent periodicals, the list indicates that thus far they have not done so. All currently posted articles are from magazine issues for which the copyright has expired. Now, the real issue here is the genealogical journal. As noted above, there are of have been over 8000 of these publications across the United States. A Google Book search for "genealogy journal publication" comes up with 2,570 results. Varying the terms could come up with either more or fewer publications. Some of these on Google Books are in the public domain and are complete runs. 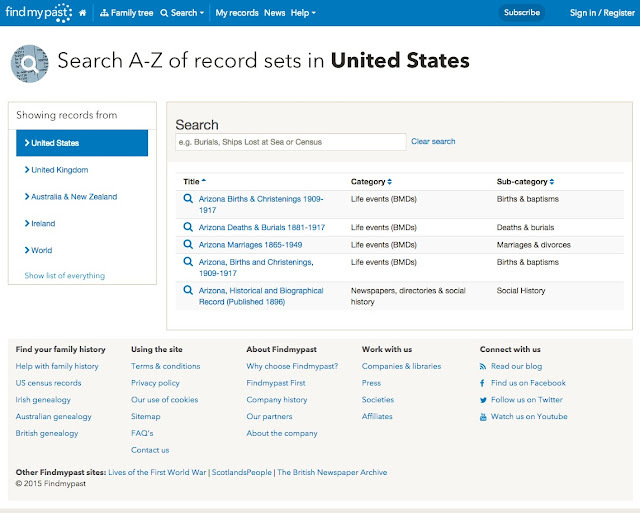 Some of the other online digital books sites, such as the Internet Archive and the HathiTrust.org have also managed to acquire various genealogical journals. One source for journals and other publications you may end up overlooking is FamilySearch.org's Books section. It is a good idea to search for various associated terms, including geographical and bibliographic terms. For example, on FamilySearch.org's Book search I searched for "journal" and had over 53,000 results. When you find a list like this, then start using the words of the titles of the publications as search terms to find even more listings. The quality of the articles varies from useful to useless but there is always the chance that what is included is unique and available no where else. On occasion, the local journals and historical society publications contain list extracted from original records that are either hard to locate or have long since disappeared. I would strongly suggest registering as early as possible if you are considering attending the conference. Last year, the registration was closed because all of the classrooms were filled. They have expanded the conference this year but it is still wise to register early. Edwards, Andrew V. Digital Is Destroying Everything: What the Tech Giants Won't Tell You About How Robots, Big Data, and Algorithms Are Radically Remaking Your Future. 2015. I realized that many of impacts of the digital world were also spilling over into the genealogical community. I have mentioned a few of these before, but, while reading the book, I have been thinking about the subject and realized that the effects are even more far reaching than I had previously anticipated. One observation; I am old. I will not live to see all of the changes that are occurring. The analogy is that I am like on of the people who lived in St. Johns, Apache, Arizona back in the early 1900s when the first car came to town. They, like most of us today facing the digital revolution, could not see the impact that the technology, in their case, the automobile, would have on their lives and their town. We are essentially in the same condition. We are facing a time of huge changes due to the digital world invading almost every aspect of our lives. One of the observations made in the above book is about large music performances. The author makes the observation that in 1994 there were more than 200 music stadium shows around the United States, but by 2004, there were only 46. The author attributes that decline to the decentralization of the music industry caused by the availability of online, digital music. He goes on to discuss the impact of the digital world on newspapers and other aspects of our world. What are the main indications of the impact of the digitization of genealogy? Well, for me, the most obvious is going on right now with one of my friends. I am helping with some research in Mexico. So far, all of the records he has needed to look at for his family have been found online on FamilySearch.org. No visits to a Family History Center to look at microfilm. No searching online. No writing letters or visiting dusty archives. All this was done from his computer in his home. Let's suppose that FamilySearch achieves its goal of digitizing all (or nearly all) of the microfilm records in its collections. I would guess that at the present rate of digitization, this will occur in the next few years. Let's further suppose that the other large online genealogical database programs continue increasing their holdings. Going even further, let's suppose that many other institutions and archives continue their digitization processes. As I have observed previously, why would I need to go to a library? The return comment is, what about personal help? Don't I still need to go to classes? Don't I still need to ask questions? Well, think about webinars. The genealogical community has already been substantially impacted by the common availability of webinars. Every single week there is a webinar from someone in the genealogical community. Just as the musical industry and the newspaper industry have been dramatically decentralized, eventually the genealogical community will begin to feel this impact even more dramatically than it has in the past. I have made observations about the effect of these changes on the genealogical conference circuit. I was reminded of this this week with a discussion among some genealogists about the impact on a local conference here in Utah. Just as some local retailers are having difficulty competing with Walmart and the online giant Amazon.com, through blogs, webinars, online conferences, and other digital offerings I have access to almost any genealogist in the United States. Why would I travel and pay money to go see a prominent genealogist if I can read her blog, listen to her speak, watch a recorded class and read her online digital book? I admit, there is some "celebrity" attraction. But how many superstar genealogists do we really have? Although there are some of us who know the reality, the general impression in the genealogical community is that "everything is online." In my opinion, the point where this was true for most people happened years ago. So, what I see today when I go to the Family History Library in Salt Lake City Utah is a bunch of people sitting at computers. I still go to the Family History Library because there are things there that I cannot easily obtain online. But, as I observed above, what if all the microfilms and other documents were available online? How often would I need to go to the Family History Library then? From my own very personal perspective, I am primarily teaching at the Brigham Young University Family History Library. Many of the classes I teach here are being "digitized" and made available on the BYU Family History Library YouTube channel. I have been regularly putting up new presentations. Some of these online videos are receiving thousands of views. From the standpoint of reaching a large audience and further from the standpoint of saving scarce resources, i.e. my time, it is far more effective for me to do a video than to teach a class at a conference. If you're reading this blog, you are being affected by the digital revolution. Think about that. From time to time, I like to write about records that are not generally known or used for genealogical research. These types of records are usually mentioned, if at all, in a class about a specific type of records or records from a specific location. My current example of such records are collectively known as Georgia (the state) Land Lottery records. Here is an explanation of this particular class of records from the North Georgia, Georgia's Land Lotteries website. These records could be valuable in identifying the exact location of an ancestor. The records contain the names of thousands of people who were awarded land by this system and, I should mention, at the expense of the members of the Cherokee Nation who lost their land. Some of the worst events in world history can generate valuable genealogical records. Be sure and check online for digitized copies of the books and/or lists on database programs that might exist. I found some of these records on Ancestry.com. I found lists of those who were awarded land on the Georgia USGenWeb Archives Project and information about the lottery system on the Georgia Archives website. I even found an extensive PowerPoint presentation on the subject from the Mesa FamilySearch Library. Here is a list of books about the Land Lotteries and many of these contain extensive lists of the awards. Andrea, Leonardo. Georgia Lands. Salt Lake City, Utah: Filmed by the Genealogical Society of Utah, 1974. Blank or Prize What You Need to Know about Georgia’s Land Lotteries. Arlington, Va.; St. Louis, MO: National Genealogical Society] ; Jamb Tapes, 2011. Bleakley, Hoyt, Joseph P Ferrie, and National Bureau of Economic Research. Up from Poverty? The 1832 Cherokee Land Lottery and the Long-Run Distribution of Wealth. Cambridge, Mass. : National Bureau of Economic Research, 2013. Cherokee County Lottery, 1832: 1805 & 1807 Land Lotteries, Baldwin & Wayne Counties; 1805 & 1807 Land Lotteries, Wilkinson County,. Atlanta, Ga.: Georgia Secretary of State, 1986. Daughters of the American Revolution, and Georgia State Society. Historical Collections of the Georgia Chapters. Vidalia, Ga.: Georgia Genealogical Reprints, 1968. Davis, Robert Scott. The 1833 Land Lottery of Georgia, and Other Missing Names of Winners in the Georgia Land Lotteries. Greenville, S.C.: Southern Historical Press, 1991. Davis, Robert Scott, S. Emmett Lucas, Georgia, and Surveyor General Department. The Georgia Land Lottery Papers, 1805-1914: Genealogical Data from the Loose Papers Filed in the Georgia Surveyor General Office, Concerning the Lots Won in the State Land Lotteries and the People Who Won Them. Easley, S.C.: Southern Historical Press, 1979. Dorsey, James Edward. Georgia Genealogy and Local History: A Bibliography. Spartanburg, S.C.: Reprint Co., 1983. Gentry, Lelia Thornton. Old Bible Records and Land Lotteries. Baltimore, MD. : Clearfield Co., 1995. Georgia. Court of Ordinary (Decatur County). Estrays 1828-1867, 1894-1927, and Persons Entitled to Draw in Gold and Land Lotteries (dates Unknown) [Decatur County, Georgia]. Salt Lake City, Utah: Filmed by the Genealogical Society of Utah, 1961. Georgia Historical Society. The Georgia Historical Quarterly: Volume LXXIII, Fall 1989, Number 3. Savannah, Ga.: Georgia Historical Society, 1989. Georgia. Land Court (Liberty County). Land Lotteries and Land Court Records 1803-1837, Liberty County, Georgia. Salt Lake City, Utah: Filmed by the Genealogical Society of Utah, 1958. Georgia, and Surveyor General Department. Georgia Indexes of the Various Counties to Land Grants and Lotteries. Atlanta [Georgia]: State Dept. of Archives and History, 1955. ———. Index to People Entitled to Participate in Land Lotteries from the Various Georgia Counties, 1805-1806. Atlanta [Georgia]: State Dept. of Archives and History, 1967. ———. Land Lotteries Surveys and Grants. Atlanta [Georgia]: Georgia Department of Archives and History, 1967. Georgia, Surveyor General Department, Fiscal records, Georgia, and Comptroller General’s Office. Grant Fees Paid, 1836. Georgia, Surveyor General Department, and Land lottery records. Manuscript Lottery Indexes, 1807. Gold and Land Lottery Register. [Milledgeville]: [Grieve & Orme], 1833. Graham, Paul K. Georgia Land Lottery Research. Atlanta, Ga.: Georgia Genealogical Society, 2010. Graham, Paul K, Jr R.J. Taylor, and Foundation. 1805 Georgia Land Lottery Persons Entitled to Draws. Decatur, Ga.: Genealogy Co., 2005. Hitz, Alex M, Georgia, and Surveyor General Department. Authentic List of All Land Lottery Grants Made to Veterans of the Revolutionary War by the State of Georgia. Atlanta: Secretary of State of Georgia, 1966. Ingmire, Frances Terry. Georgia’s Land Lotteries: 1805-1807-1820-1821-1827 & 1832, Counties & Districts. [Place of publication not identified]: [publisher not identified], 1980. Karan Pittman. “Lotteries Leave Clues - Part 2.” GenWeekly, 2005. Lucas, S. Emmett. The Third and Fourth or 1820 and 1821 Land Lotteries of Georgia. Easley, S.C: Georgia Genealogical Reprints, 1973. Meyers, Christopher C, and David Williams. Georgia: A Brief History. Macon, Ga.: Mercer University Press, 2012. Prizes Drawn in the Cherokee Gold Lottery: Of the 1st, 2nd and 3rd Quality, with Their Improvements, and Drawer’s Name and Residence. Milledgeville [Ga.]: Printed at the Times Office by M.D.J. Slade, 1833. Surveyor General Department, and Georgia Archives. [Georgia Land Lottery Records]. [Place of publication not identified]: [publisher not identified]. The Third and Fourth, or 1820 and 1821 Land Lotteries of Georgia. Easley, S.C.: Georgia Genealogical Reprints : Southern Historical Press, 1973. Williams, H. David. “Gambling Away the Inheritance: The Cherokee Nation and Georgia’s Gold and Land Lotteries of 1832-33.” Georhistquar The Georgia Historical Quarterly 73, no. 3 (1989): 519–39. Is Voice Recognition a Viable Alternative? For the past couple of years, I have been using voice recognition software more frequently. Some of you may have noticed my use because of the insertion of random words that seem to make no sense. As I have written about previously, my use of voice recognition goes back to the introduction of primitive system for the IBM Selectric typewriter back in the 1960s. I probably tried and purchased almost every program available. From time to time, I have written posts about my experience in using voice recognition. Just recently, I purchased another update to the Dragon Dictate program from Nuance software. This is the Macintosh version of the Windows program called "Dragon NaturallySpeaking." To give you an idea of the accuracy of voice-recognition I am going to dictate the remaining portions of this post without making anything except voice commands. In other words, if the program makes a mistake in transcribing my voice, I am going to leave those mistakes in the post. I am painfully aware that smart phones and tablets have implemented primitive voice recognition. The most annoying of these is the Apple Siri program. But Google has also implemented a rather limited voice recognition option and voice recognition is showing up in many other places. The question from my standpoint is not whether I can get my smart phone, in my case an iPhone, to respond to my voice commands but whether or not I can use voice recognition as part of my normal activities of writing huge amounts of text. As I've often noted in the past, the issue is accuracy. If I have to spend as much time editing the text as I spend writing it, I might as well type the text and make the corrections as I go along. As a side note, I note that one of the skills for which I am often cited in the LinkedIn website is editing. If you are a daily reader of my blog you probably realizing that editing is not necessarily my greatest talent. I am also aware that both Windows and the Mac operating system have built-in voice recognition software. I would view both of these programs as rudimentary. For text that requires a great deal of formatting, voice-recognition is not much of a help unless you are physically limited in your ability to enter text by a keyboard. I must admit that I do not use voice recognition to control my computer, primarily because I am so much faster with a trackpad. You can probably see, that I would spend as much time correcting the entries as I would entering them. One thing I have learned, is that it is important to read the text that you dictate and in effect, do your editing at the time that you are reading the text. It is also important to take the time to train the programs. Actually, I am pretty much impressed with the increased accuracy of the Dragon Dictate program. Because the program has been constantly improved, I have been willing to spend for the cost of the upgrades. The point at which voice-recognition software became a viable option was when its accuracy became essentially the same as my accuracy while typing. I must admit, that it does a much better job of spelling words the first time that I do. Without the built-in spellchecker in my computer, my spelling would be much worse than it appears to be. Well this is the end of the post that has been entirely dictated with the Dragon Dictate version of the program for Macintosh OS X operating system. Oh, I almost forgot, voice recognition didn't even begin to work until computers got fast enough to process vast amounts of information in a very short period of time. If you are using an older computer you may not experience the full capabilities of the programs. Where are the state-by-state resources for genealogy? 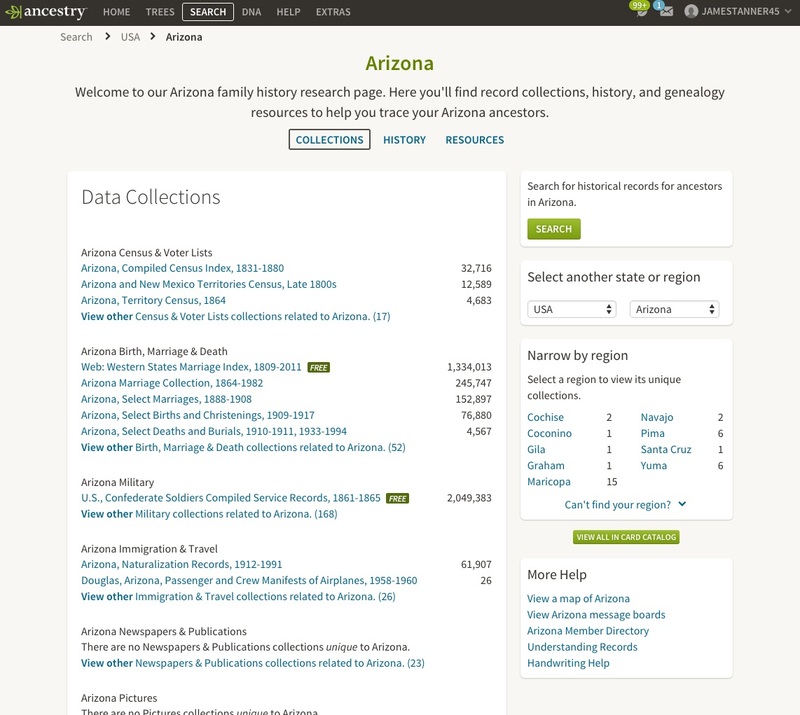 Did you know that some of the large online genealogy websites has a state-specific resource pages? Did you know that many of these specific links are part of the new website called "The Family History Guide?" State specific resource listings are not a new development. FamilySearch and its predecessors published paper Research Outlines starting many years ago. 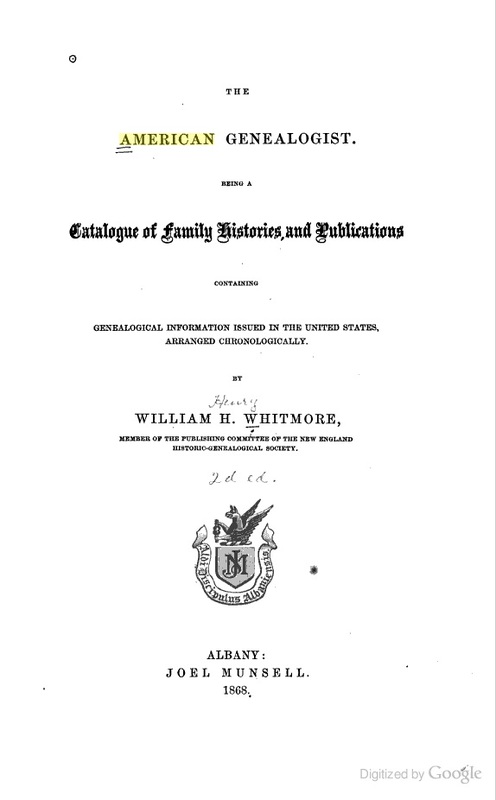 These paper editions have been incorporated into the FamilySearch.org Research Wiki. 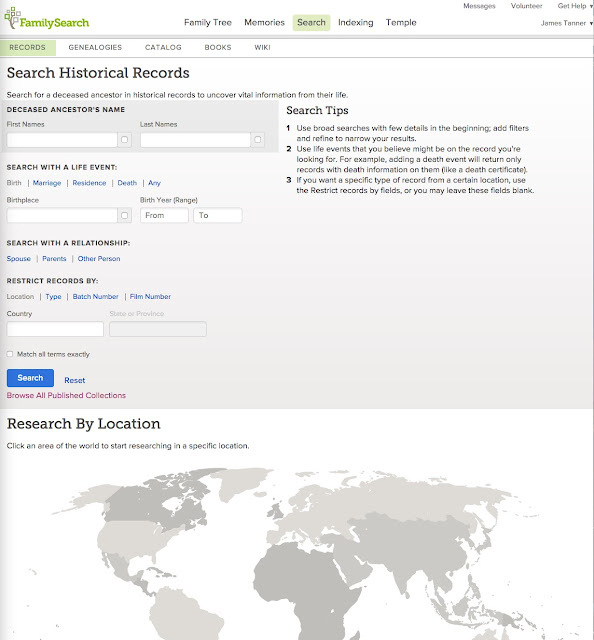 See the Research Wiki articles entitled, "Research Guides Now in the FamilySearch Wiki" and "Research Outlines." Because they went out of print in 2009, in most cases, the actual Guides have disappeared except in libraries, but the content was long ago incorporated into the Research Wiki. If you still want to see the original Outlines, you can find a link to PDF copies on the BYU Family History Library Research Wiki article. 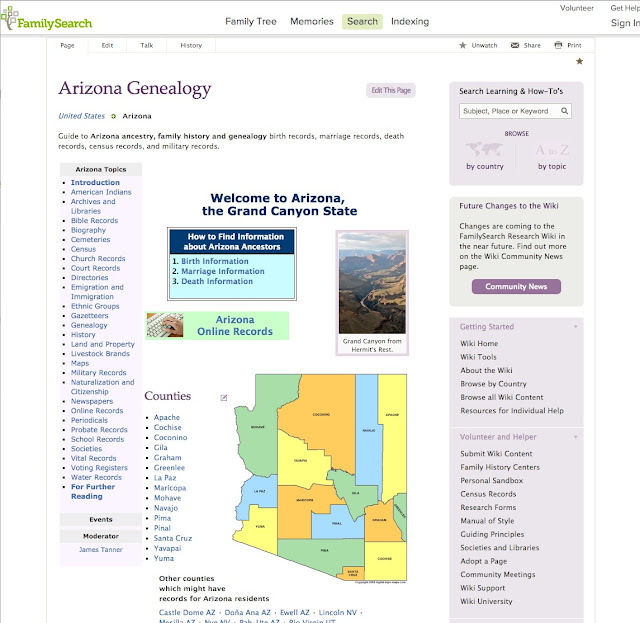 Here is the Arizona page from MyHeritage.com, once again available from a link on The Family History Guide. 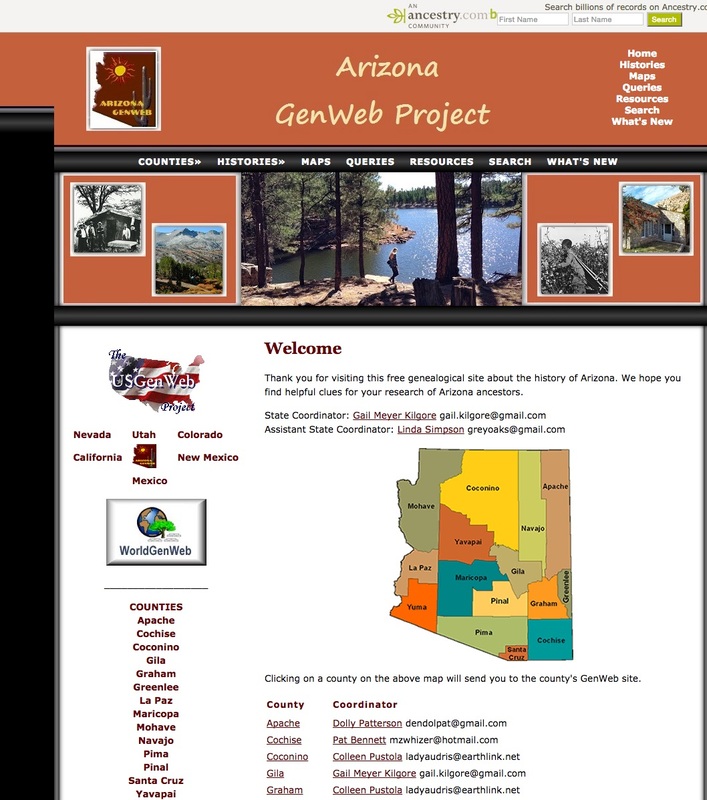 Here is yet another Arizona page from Findmypast.com as linked by The Family History Guide. What about the FamilySearch.org Research Wiki? Each of these websites give a different twist to the research in any given state or country. Last evening in a meeting held with the volunteers and missionaries of the Mesa FamilySearch Library (formerly known as the Mesa Regional Family History Center) the attendees were essentially told that no decision has been made. The reason the attendees were told to attend the meeting was to hear the decision about the Library from FamilySearch. The Mesa FamilySearch Library was housed in a building located at 41 South Hobson in Mesa, Arizona. It is one of about 15 very large Family History Centers of over 4600 such FamilySearch operations and has had tens of thousands of patrons during an average year. At the end of November, 2014 the Library was closed for renovation and remodeling and found to have serious water leakage problems with the resultant mold. As a result, the entire collection of books, microfilm and other items was put in metal storage boxes and stored in the parking lot. Because of the extreme heat in Mesa, finally, the stored items were returned to the partially deconstructed building. Although there is a second annex building, it has not been used to continue most of the functions of the old building. So, the Library is closed until further notice and the missionaries and other volunteers have been given no idea of the final decision to be made. I am trying hard not to make my own speculative conclusions. 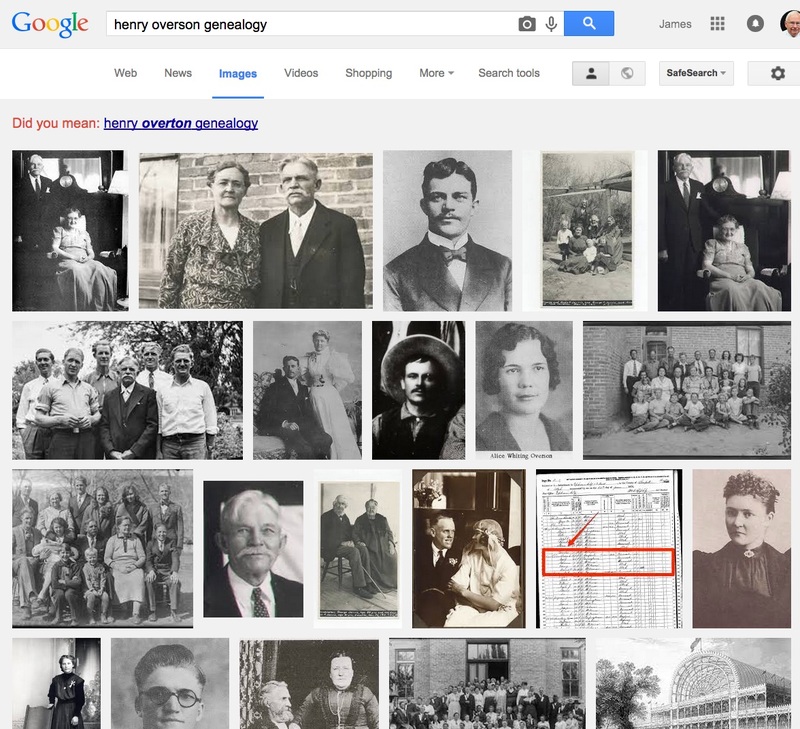 What is the core value of online genealogical database programs? How easy is it to find a copy of a particular document on the website and how many clicks does it take to do so? How do you find out whether or not a particular type of database is hosted on the website? 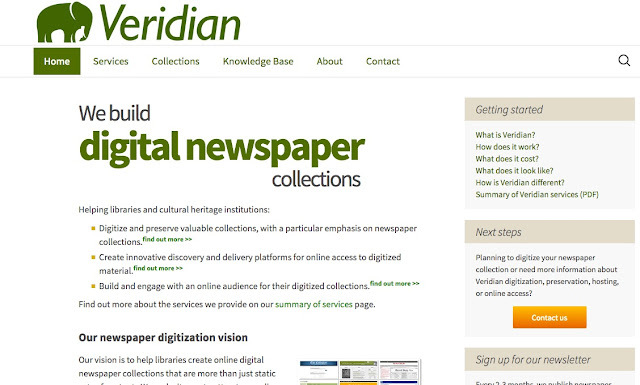 If the digitized documents were not on the website would you still visit it? 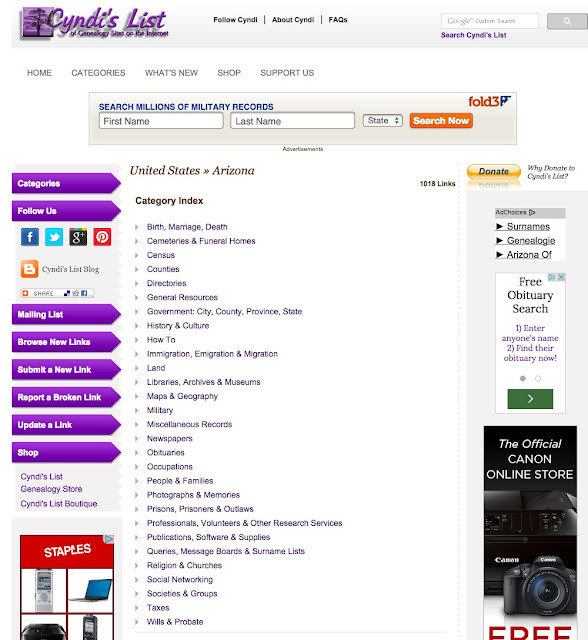 How many other services and programs are offered by the website? Would you be more likely to use a program with an integrated family tree or one without an associated family tree program? How important is the ability to print reports, including fan charts, pedigree charts and family group records? 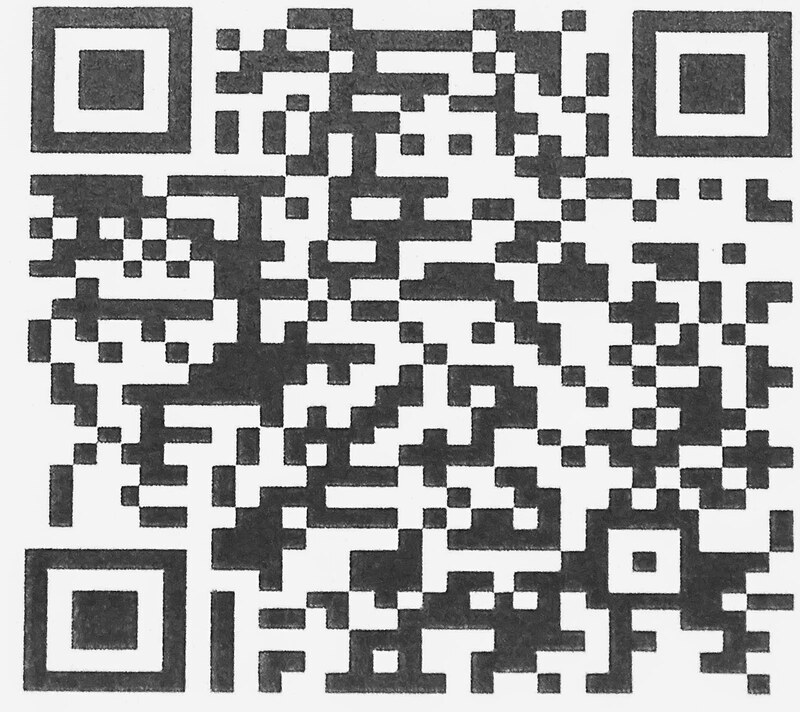 I am fully aware that the different websites all use a different approach to providing digitized documents. Some have an integrated family tree, others rely solely on their database to attract users. But the issue I am approaching is which of all the activities offered by these larger websites is the deal maker or breaker? What if I decided to create the largest online database of actual digital records in the world (assuming that is now still possible); if I reached my goal, would I then have the most visited website? My analogy here is the question we used to ask ourselves almost everyday in the retail computer business: what business are we in today? Because we have the technology to do all sorts of fancy things, does that mean that a website needs to be all things to all people? What if I just provide a whole lot of valuable digitized records in a very efficient way? How much more do I need to do? 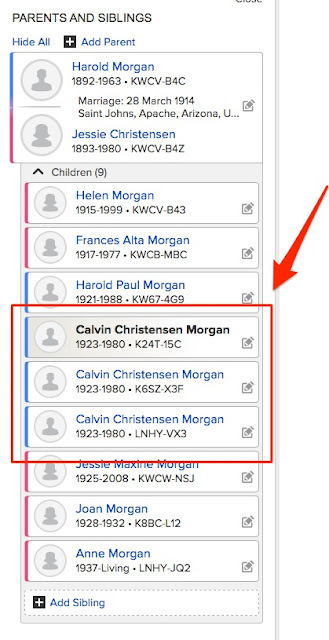 How important is the integration of photos and text files with a family tree? I sometimes feel that new features are added to programs and online websites merely because they can be, not because they are in any way needed. If a website is getting millions of hits a year, it is very difficult to determine why people are coming to the website. Even if you analyze in detail where they go on the website and what seems to interest them, the real reason for visiting the website might be something entirely different. It appears that some websites are like large department stores with various "profit centers." The add a service to see if they can increase the bottom line of the business. In all of this, where are the genealogists? Are we all just "customers" or "users?" I would guess that genealogy has become more like the overall theme of the website rather than a particular concern. The website creates a virtual "Genealogyland" with different sections devoted to DNA, Media, Education etc. Now, back to the main question, what are the core values of the various online database programs? Perhaps, we have been faced with the shopping center approach for so long, we no longer want or need the specialist. Family History for Fun and Profit? The original name of the book was Genealogical Research: A Jurisdictional Approach. Even back over forty years ago, the title to a serious book on genealogy had to be popularized to get attention and sales. Here is a quote from the book on page 122 which makes a point that I have been emphasizing for years. Research must be jurisdictionally oriented. If you approach research properly, you must do it through the jurisdictions which produce the records upon which research is dependent. A thorough study should be made before the records are searched. I will likely come back to this book again and again. Without any contact with what Arlene and other have been teaching for years, I came to exactly the same conclusions. The idea here is basic and rather simple. Records are created at or near the places where events occur. In addition, they are created by different "jurisdictions" or entities that have some reason to record the events. For example, military records are likely kept and maintained by national governments, whereas church records are probably recorded on a local level. It is this idea of jurisdictional research that differentiates the competent and experienced researcher from those with less understanding and experience. I did a search on my previous blog posts and found that I have written about this subject at least 153 times in the past. Why does this subject keep coming up again and again? Because too many researchers abandon their efforts at finding their family members simply because they do not understand the principle. One unfortunate effect of using online research is that the concept of jurisdictions is blurred and obscured by indexes. If you go to any one of the large, online database programs, you will find a way to "search all the records." What happens when you make such a search is that you are relying on the information you already know about the person (or family) and trying to find a match with records that may or may not have been indexed completely or accurately. Two possible outcomes can be the result of such a search. In one case, you may have so many responses to your search that you could not practically review them all. At the other end of the spectrum, you may have no results at all. But what have you really determined? Not much. When you search a record using an index, your search says more about the index than it does about the content of the record. Indexes are finding aids, not records. What is more, most index searches will return records from a variety of locations giving the impression that the named ancestor might have lived in a variety of places. But where did the ancestor really live? That is the question that should be addressed first before searching blindly for names in an index. 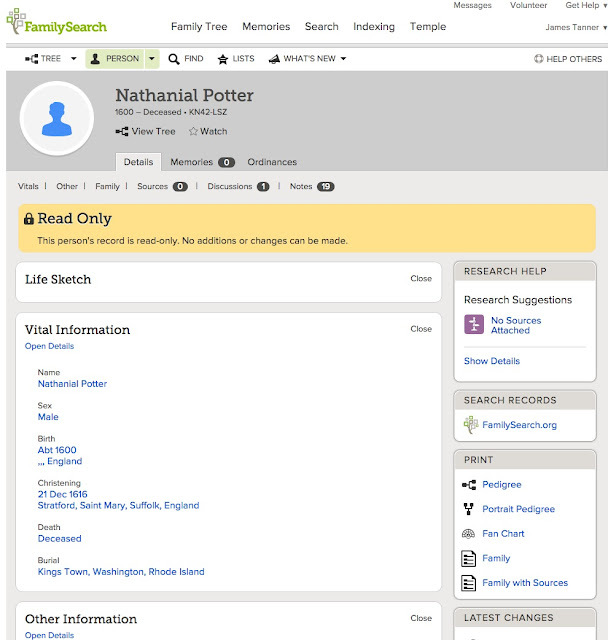 The results of such unstructured searches is seen when people add children in online family trees who were born in locations that are impossible, given a particular family. For example, I wrote recently about a child added to my Arizona family who was born in England. This happens when people focus on indexes at the expense of ignoring jurisdictional limitations. One thing I can say for certain, both Arlene Eakle and I are still teaching about the need to identify the jurisdictions where the family lived. Arlene started a little earlier than I did, but we both teach the same thing every chance we get. It is one of the more remarkable features of the technological phenomena that millions of digitized photos go online every day. How many of these photos are of your ancestors? When I show people the Memories section of the FamilySearch.org website, they are very often amazed at the number of photos that have been uploaded of their ancestors. 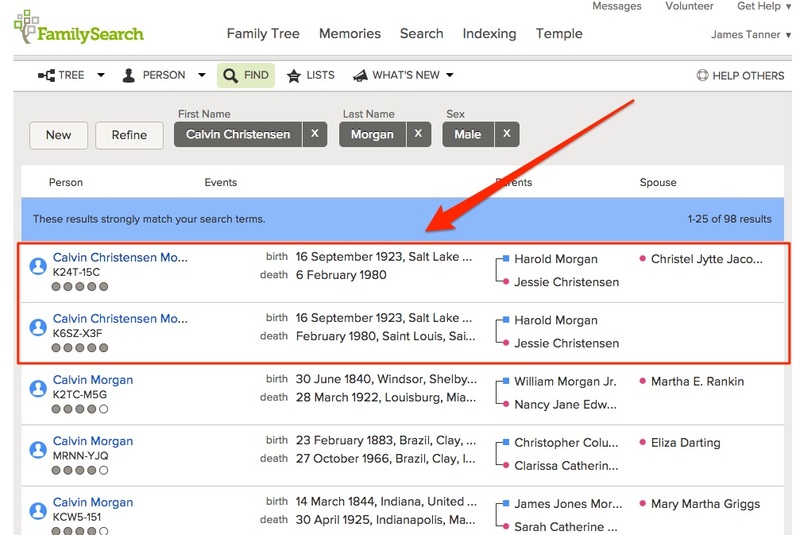 It would be a mistake to conclude that only people who are registered with FamilySearch.org or have ancestors that are Mormons [members of The Church of Jesus Christ of Latter-day Saints (LDS)] have photos on the program; just because I am a member, does not mean that all my ancestors were members of the LDS Church. 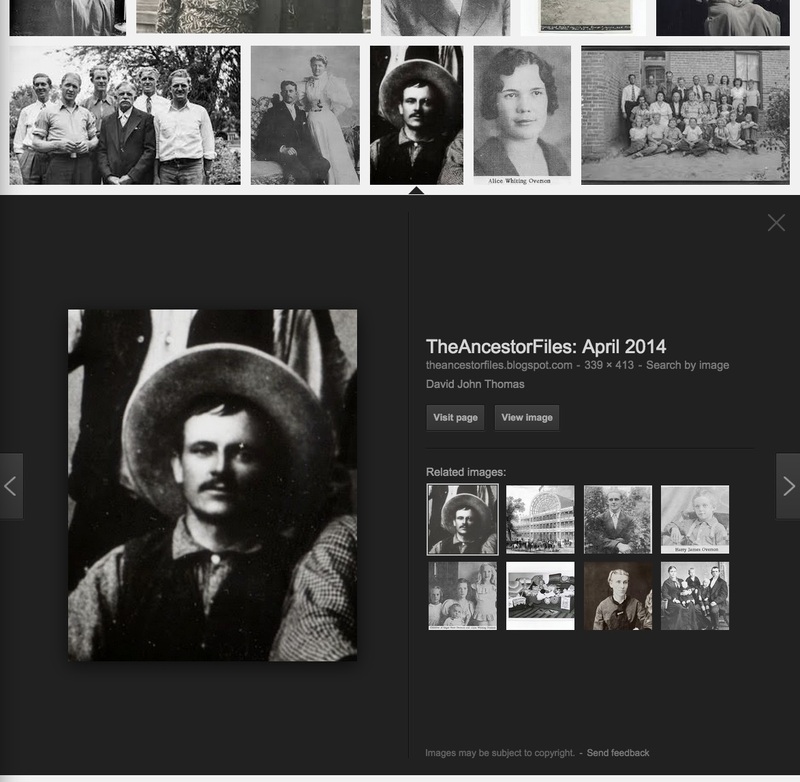 Have you ever searched online for photos of your ancestors? Do you know where and how to look? Granted, this is my daughter's website, but I was not familiar with the photo. This is an interesting and fairly simple way to make some extraordinary photographic discoveries. Note: This particular post is based on some recent observations reported in a previous post entitled "Some Unexpected Information from MyHeritage.com." 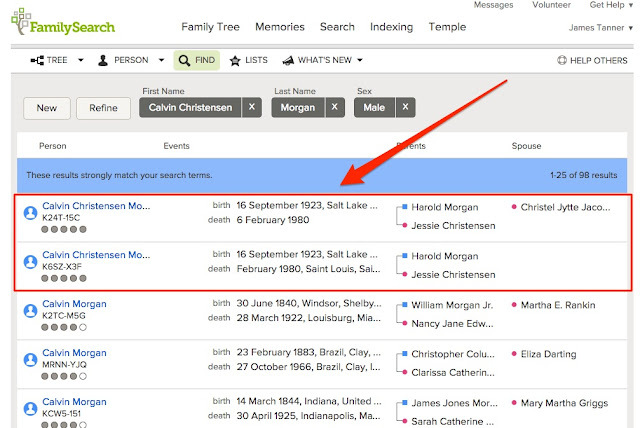 What I have to say in this present post elaborates on my observations over the past few years and explains my opinion of what is going on with both MyHeritage.com and the FamilySearch.org Family Tree. Please understand that MyHeritage.com is functioning exactly as it is designed to function. 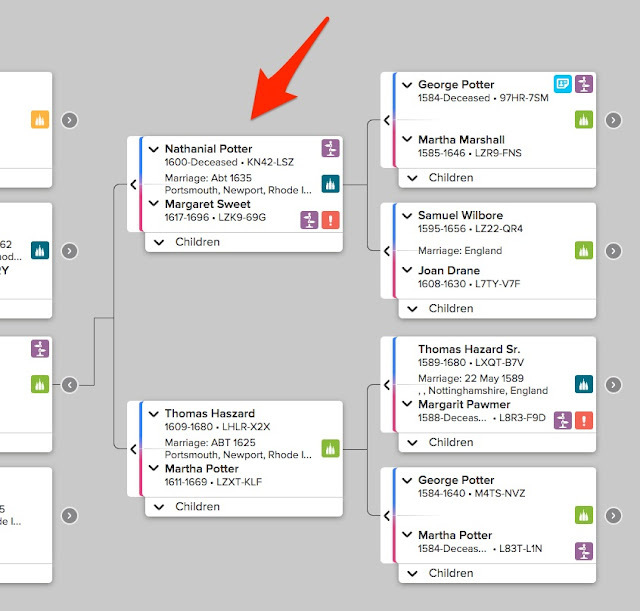 The problems and issues I discuss can only be attributed to the reality of the FamilySearch.org Family Tree. MyHeritage.com is merely the messenger and it is only because it works so well that the message is coming through. Now a fairly brief summary of the history of the data in the FamilySearch.org Family Tree. 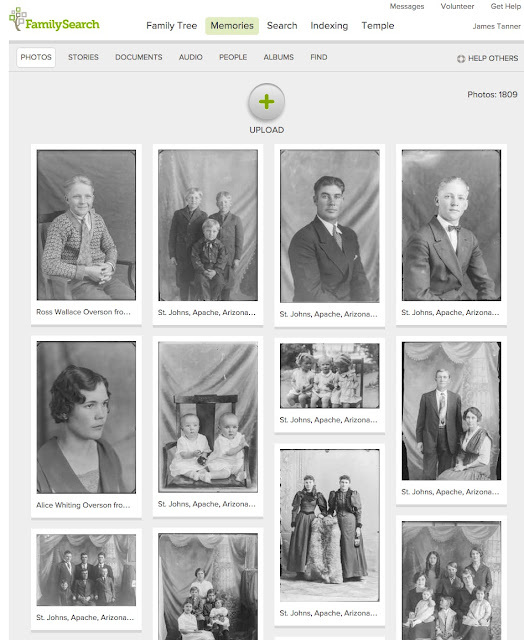 Over the past 100 years or so, many people have contributed their user compiled data to FamilySearch and its predecessors: The Genealogical Society of Utah and various other entities and organizations. Eventually, all this information, usually in the form of Family Group Records and pedigrees, was compiled into huge databases containing many millions of records of individuals and families. These databases included the Ancestral File, the Pedigree Resource File, the International Genealogical Index, The membership records of The Church of Jesus Christ of Latter-day Saints and the records of the names submitted to the LDS Temples. In an attempt to search all of these records simultaneously, these separately submitted records were all combined into one database that was used as the basis for the program called "new.FamilySearch.org." 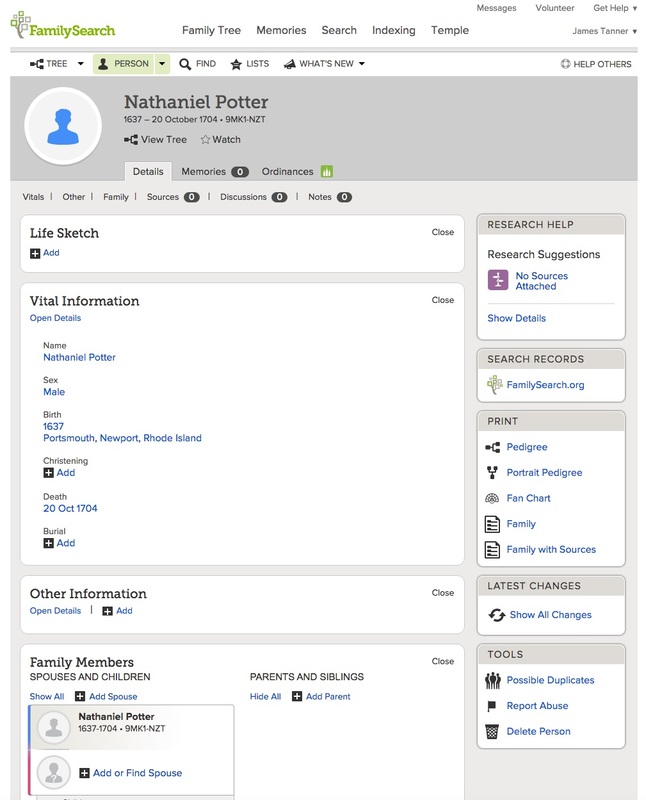 (See various notes similar to the one in this FamilySearch.org Research Wiki article). Some of the individuals recorded in the final compilation of all these previously submitted records had multiple records. Over the years, the individual records of people with thousands of descendants in the Church, had been submitted hundreds (thousands?) of times. For example, many of my ancestors were represented by multiple entries (duplicate entries) in the combined database. 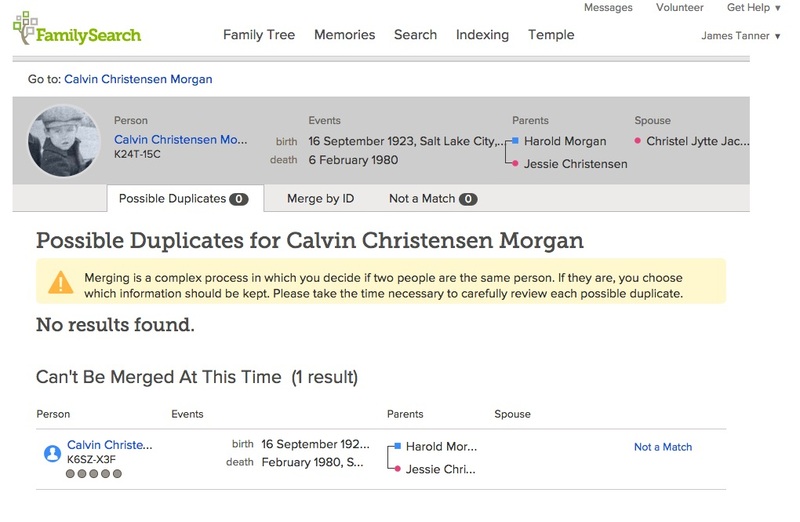 In an early attempt to minimize that duplication, the new.FamilySearch.org program "combined" the duplicates into one composite individual. The existence of these "combined records" turned out to be a difficult concept for some of the users of the new.FamilySearch.org program. The automatic combining process was imperfect and some individuals who were not the same were mistakenly combined. On the other hand, many duplicated records were ignored by the program and, in addition, subsequent users of new.FamilySearch.org submitted even more duplicates of the same individuals. 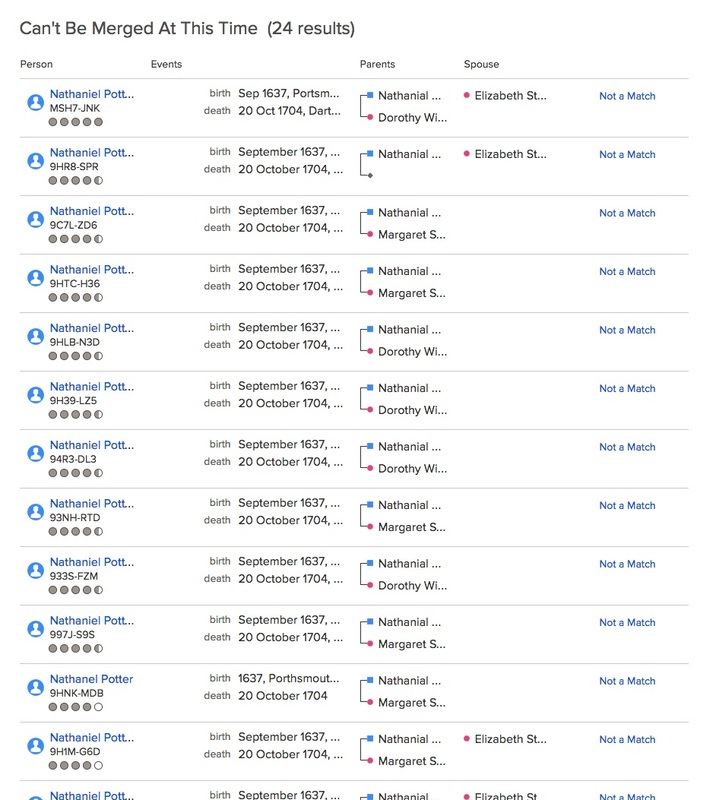 The results of this combining effort and the subsequent submission of "new" but duplicate records to the new.FamilySearch.org program resulted is even more duplicate records. Many of these duplicate records were not isolated submissions. Users of the new.FamilySearch.org could upload their entire files by using the GEDCOM submission process, thus resulting in entire pedigrees being duplicated again and again. 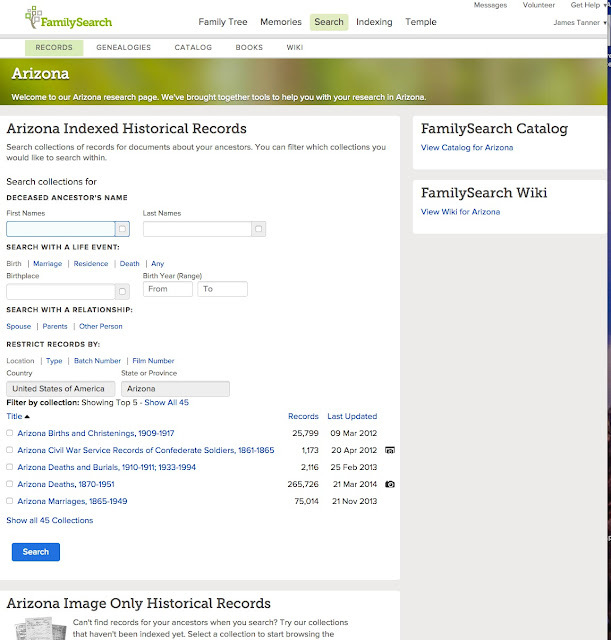 This same database, containing all of these duplicate records, became the basis for the FamilySearch.org Family Tree program [my references to the Family Tree (capitalized) is to this program only]. Now, what does this mean? It means that there are duplicate records that are out there and until the limitation on merging these records is complete, some of the information about this individual is fragmented and any one copy of the individual's record may be incomplete or inaccurate. Deleting the duplicate records is not a viable option for too many reasons to be addressed in this post. Basically, deleting records results in a possible loss of valuable information that cannot be easily retrieved. There are several reasons why the records cannot be merged by the FamilySearch.org Family Tree. Knowing the reasons a record cannot be merged is interesting but not helpful to resolving the problem. Essentially, this can only be done by FamilySearch. Looking at the above record in the Family Tree, it is evident that not only is there a duplicate that cannot be combined, there is also another duplicate record that the merge function cannot find. Here is a screenshot of the family showing three duplicate records for this individual, not just two. There are, in effect, "hidden" duplicates in the program that the search engine of the Family Tree cannot or does not find. Here is the results of a search on the name "Calvin Christensen Morgan." I have written about this issue many times over the past few years but it is still a problem and until all of the data and whatever else is necessary to clean up that data occurs and the new.FamilySearch.org program is finally put to rest, it will remain a problem. We have been told many times by FamilySearch that this merging problem (read unresolvable duplication problem) cannot be resolved until the process of moving the data to the Family Tree is complete. There is presently no firm deadline for the completion of this process. The important thing to note here is the Personal Identification Number (PID): 9MK1-NZT. Each individual in the Family Tree is supposed to have a unique PID. 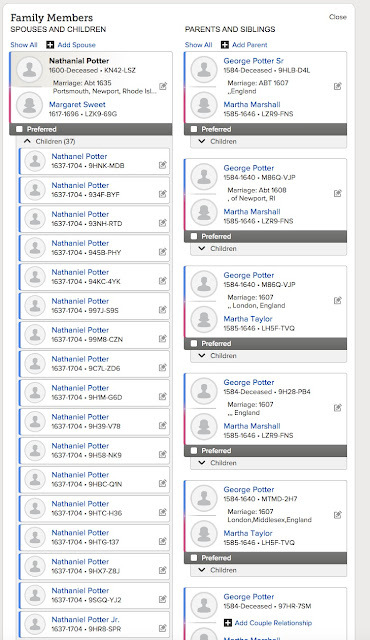 OK, so what happens if we search for duplicates for this Nathaniel Potter in the Family Tree? There are 24 additional results that cannot be merged at this time. Oh, which one of these do I have in my Family Tree? Are all these the same person? 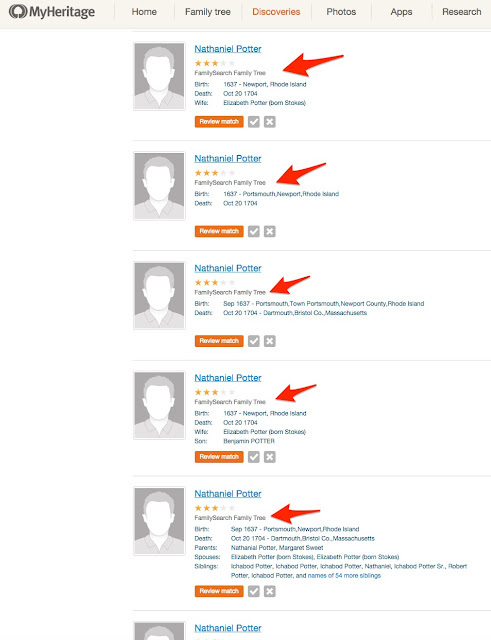 The read only designation means I cannot make any changes to this individual's record, but this happens to be the "wrong" Nathaniel Potter judging from my own records. Any relationship calculated from this individual would not be accurate. This would be of passing interest were this situation unique or rare in the Family Tree, but what has happened is that this type of individual, with a multitude of descendants, always has the same problems. The entry at the bottom shows the first of many entries linked to the Family Tree. In fact there are dozens and dozens of entries. There are 246 Record Detective results, almost all of which are entries in the Family Tree; roughly two times the number found by FamilySearch. 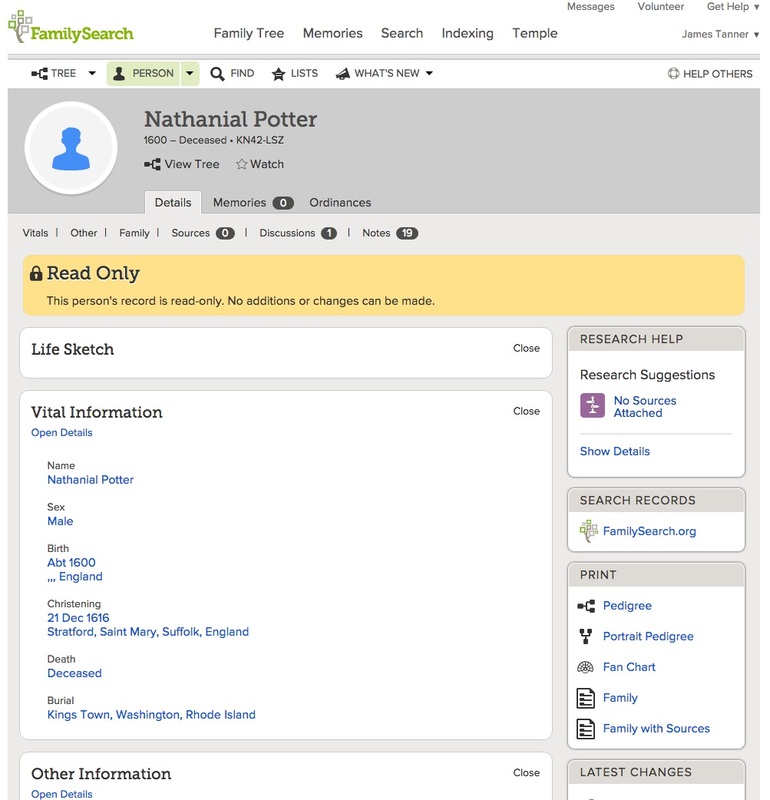 In other words, there are roughly a hundred or more additional duplicate entries in the Family Tree that are not found by searching with the FamilySearch.org program. I say "roughly" because the actual number is not ascertainable. What does all this mean? One conclusion is that once you encounter this issue in your lines on the Family Tree, there is not a whole lot you can do about it presently. Will all these hundreds of duplicates be eventually merged into one individual? Will users add dozens or hundreds more copies of Nathaniel Potter before the program is fixed? I cannot answer these or many other similar questions. On the other hand, if I only use the first six generations or so of the Family Tree, then the information is fairly accurate. As a side note, many of the duplicate copies of Nathaniel Potter show ordinances reserved and printed. People are still adding duplicate individuals to the program. I also found green icons for Nathaniel Potter allowing the Temple work to be duplicated yet again. Here is a screenshot showing another search for duplicates, for the same Nathaniel Potter KN42-LSZ, this time with only five results, including one allowing the Temple work to be done again. 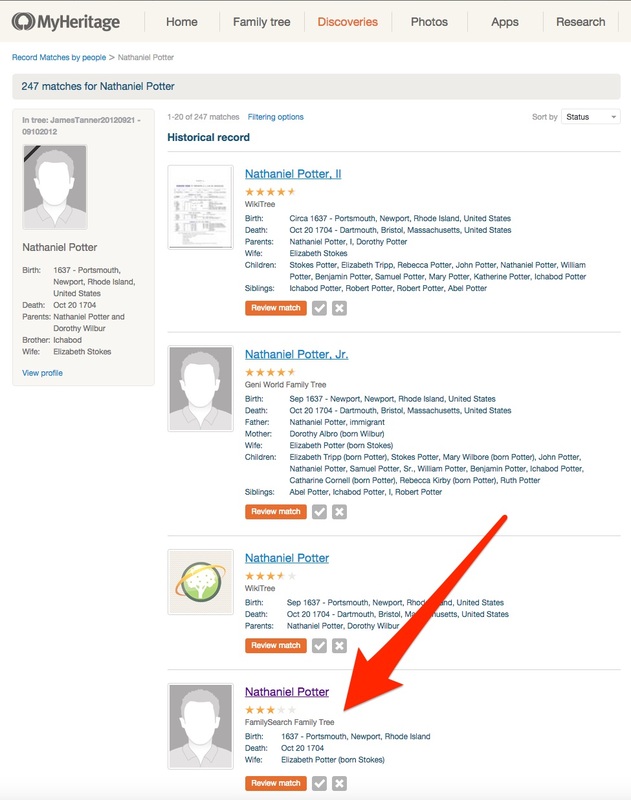 You might notice that this "Nathaniel Potter" has no sources, no date for birth, death or any other information. What is happening here? MyHeritage.com apparently has a more complete and expansive search capability than FamilySearch. 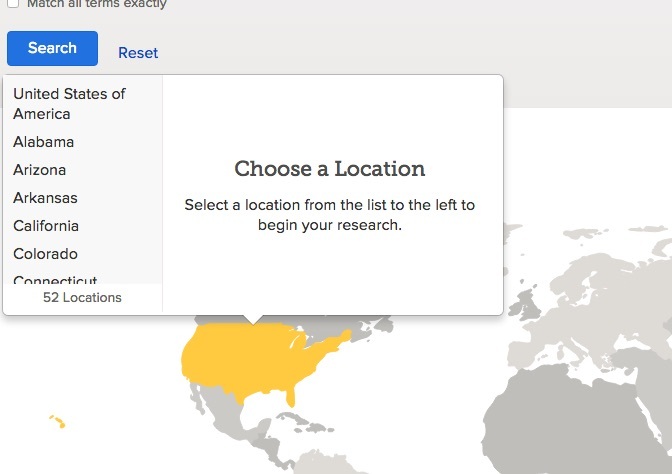 It has found many more duplicates than are found in searches using the tools on FamilySearch.org. The issue of "accuracy" is a red herring. Searches on both MyHeritage.com and the FamilySearch.org Family Tree are "accurate." The issue is not accuracy, but completeness. Obviously, the MyHeritage.com Record Matches and Record Detective find more complete information than FamilySearch. In this particular case, the fact that the searches in MyHeritage.com graphically showed the number of duplicates in FamilySearch was a surprise. I would guess that neither FamilySearch, nor MyHeritage.com were aware of what would happen when MyHeritage.com searched the Family Tree. I could speculate as to the reasons why MyHeritage.com finds more information than FamilySearch, but that would not be helpful. If you use MyHeritage.com, you can tell that any given ancestor has the problem by looking at the number of multiple links to the Family Tree for any that individual. I often find a considerable lack of knowledge, even among genealogists, about history. Every researcher should have at least a general understanding of the national and local history of the areas where their ancestors lived. This information is especially valuable in helping to find elusive ancestors. This short video will not give you all the information you need, but if you listen closely and use the resources I mention, you should get a good understanding of both the records and the background of the U.S. Civil War aka The War Between the States. I don't completely know what I expected to learn from MyHeritage.com's Record Match technology, but I suspect that some of the things I have learned were not planned or foreseen. In fact, some of them are pretty strange. Let me start with a bit of explanation. 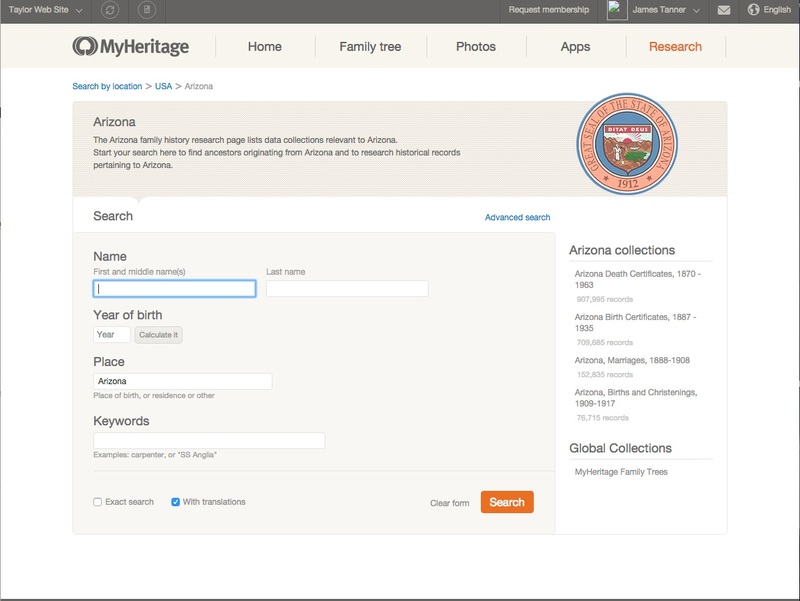 MyHeritage.com is one of the partner programs with FamilySearch.org. 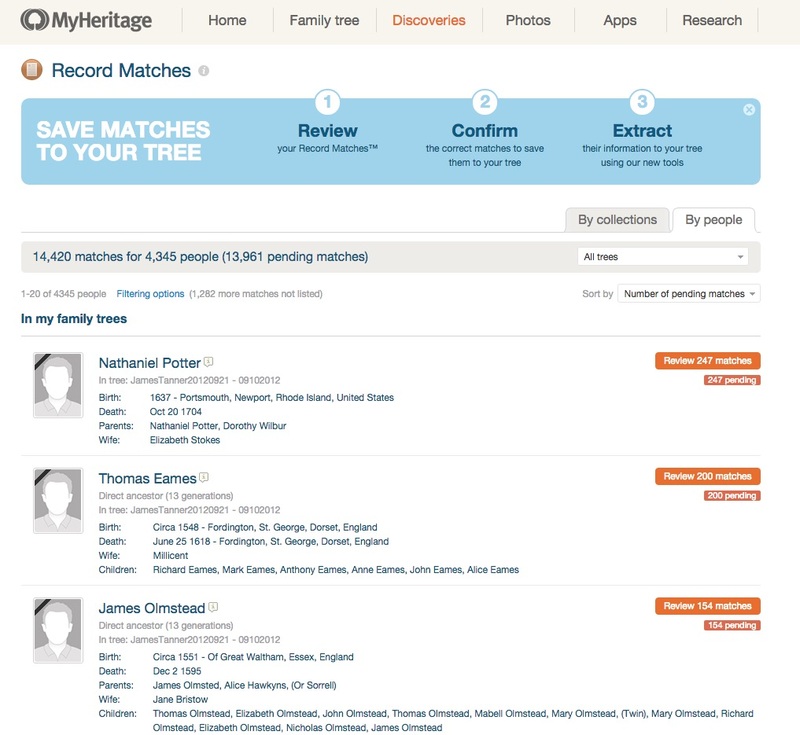 As part of that partnership, MyHeritage.com has a link, through its Record Matches, with the FamilySearch.org Family Tree. The unexpected information results, in part, from the fact that I uploaded my entire pedigree to MyHeritage.com some years ago. The program has had a long time to find sources right from the time the Record Match technology was initiated. For this reason, your results may vary. Another contributing factor to the unexpected results is the fairly recent inclusion of the Family Tree data. MyHeritage.com shows that I have 14,420 Record Matches. 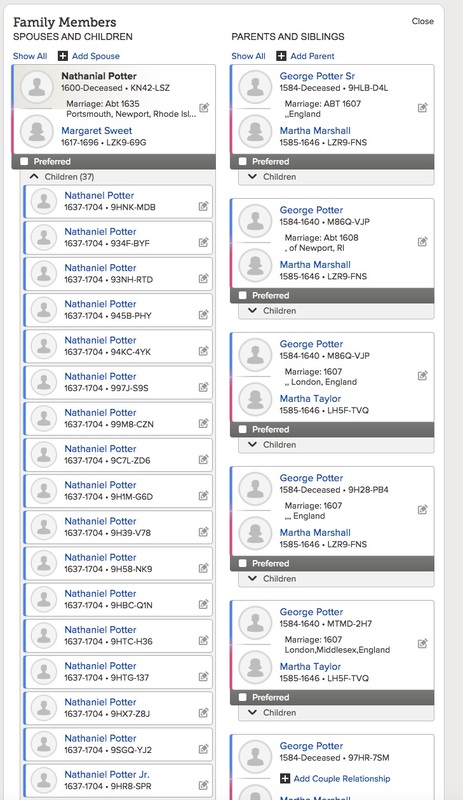 When I view that huge number of matches by "Person," I can see that one of my ancestors, Nathaniel Potter, has 247 matches. When I look at the list of matches, I see something rather strange and unexpected. 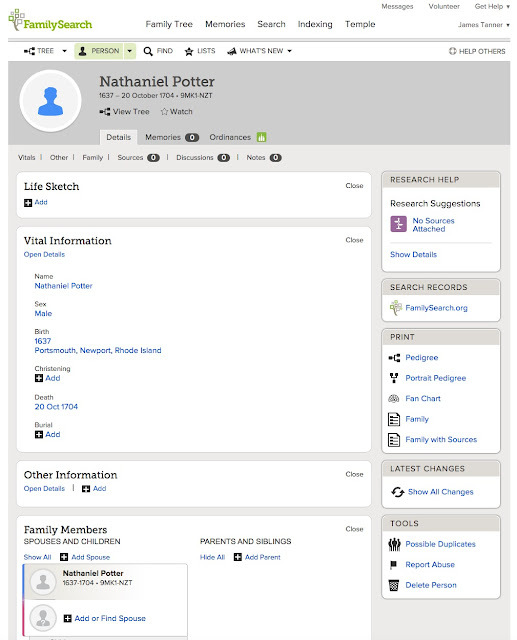 There are a huge number of "Nathaniel Potters" listed as coming from the Family Tree. Guess what? MyHeritage.com has found all the duplicate Nathaniel Potters with unique Personal Identification Numbers. 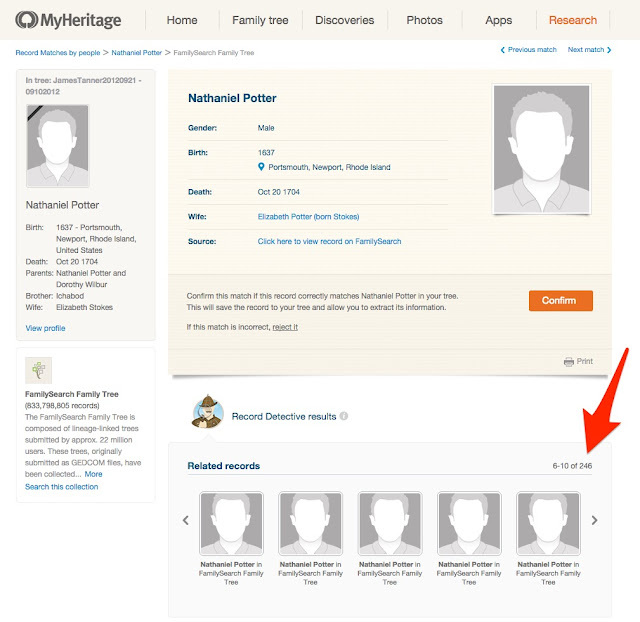 If I click on each of the multiple Nathaniel Potters, I find each of them are duplicates in the Family Tree, each with their own PID. 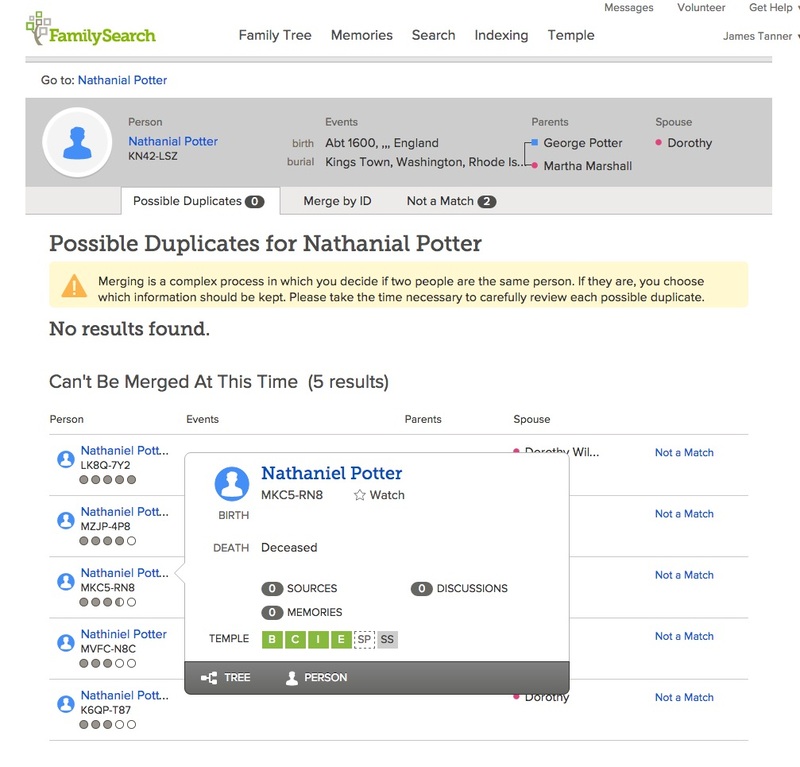 In short, if MyHeritage.com finds multiple copies of a person in the FamilySearch.org Family Tree, then they are very likely to be duplicates. By the way, FamilySearch does not find, nor can it merge all these duplicates until the transition from new.FamilySearch.org is completed. The multiple copies also indicate duplicates in WikiTree.com and Geni.com. 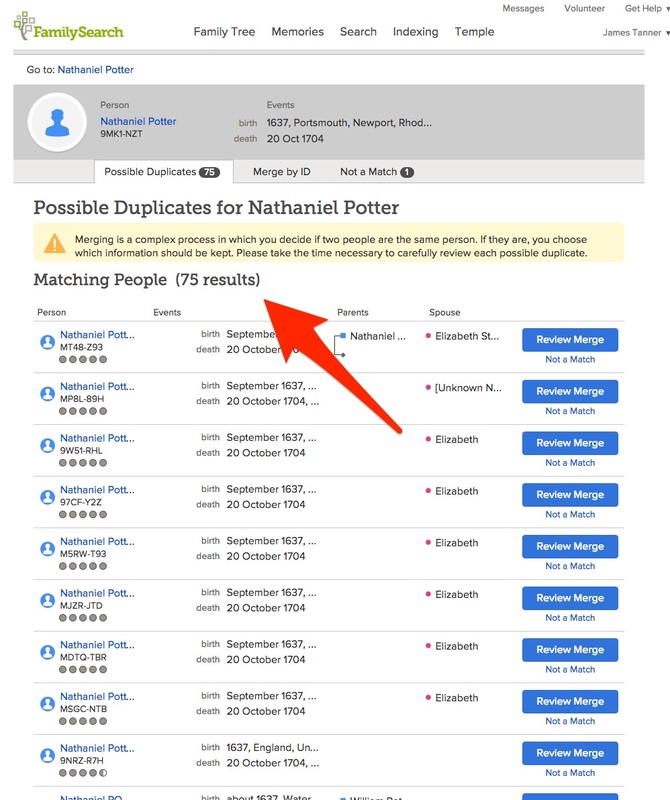 For Nathaniel Potter, when I look at one of the duplicate Family Tree records, I get 246 additional Record Detective matches. Nearly all of these are in the FamilySearch.org Family Tree. MyHeritage.com is showing me, graphically, I might add, each of the real duplicates of my ancestors in the Family Tree; theoretically, I could count the exact number and track down each of the PIDs but FamilySearch can't do anything about it right now. Since 2002 DL Consulting has been helping libraries around the world retain their position as critical and important community resources. We understand that libraries are responding to an increasing demand for online access to content. 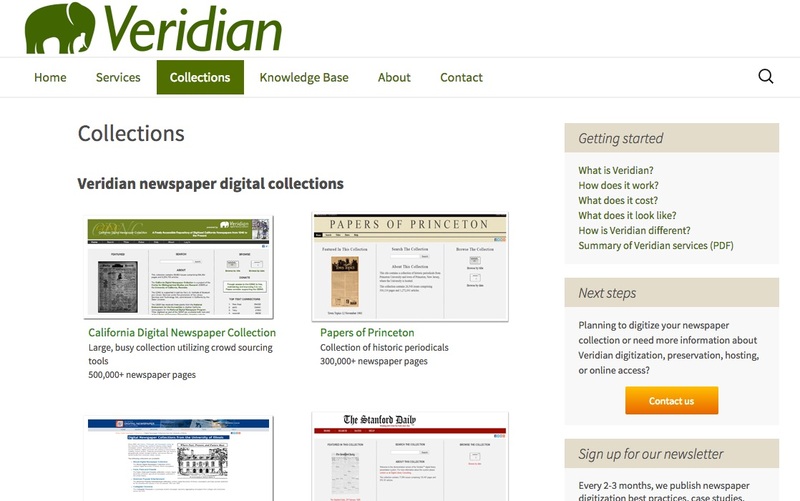 Our Veridian digitization services give libraries the ability to preserve archives of historic material and deliver the content as a digital collection to their communities. The company focuses primarily on newspaper collections and does not merely facilitate their digitization, but also has a substantial online collection of newspapers from around the world. In addition, the company maintains a general search engine specifically targeted at digital newspaper collections called Elephind.com. 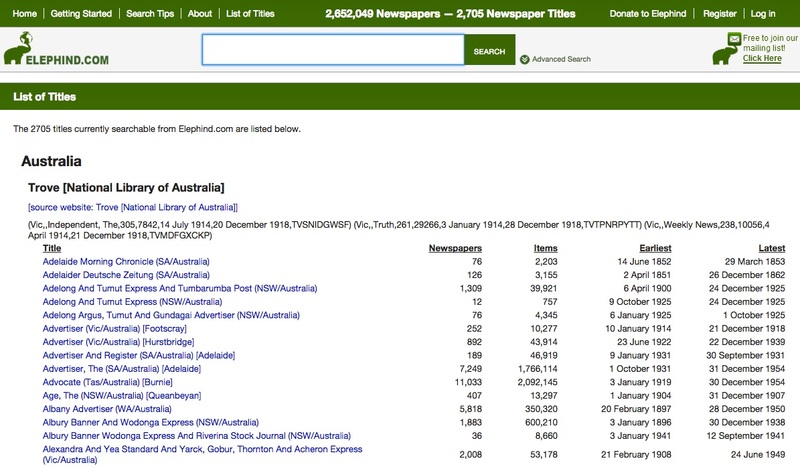 You can see from this screenshot that Eliphind.com searches 2,652,049 newspapers from 2,705 newspaper titles. This comprises millions of pages in Australia, New Zealand and the United States as well as other countries. I view this as an example of the reason why I say you cannot have ever searched all the online resources. I have mentioned this website a few times before, but almost never see it listed in resource lists from the genealogical community. We mostly have blinders on when we look at online resources. It is time to take off the blinders and realize the vast amount of information that is out there waiting to be researched. I am now commenting on Chapter 19: "Writing a Quality Research Report" by Linda K. Gulbrandsen, AG. I am guessing that the entire concept of writing a formal research report is likely foreign to the vast majority of genealogists. We are still in a transitionary stage when adding sources in some kind of citation format is still a foreign concept. Adding the idea that we not only document what we do, but write about it in a formal sort-of way, is still a long way down the road. This brings us to the title of the entire book and its emphasis on acquiring "professional" research skills. A professional researchers will, of necessity, have to communicate with his or her clients. One of the main characteristics of an excellent genealogist is an excellent research report. An important hallmark of an excellent genealogist is that he sees possibilities where others have given up and that he is willing to think "outside the box" in exploring records and ideas that others might not consider. It is frequently the researcher who continually stretches his mind to consider these other possibilities who will find answers and resolve problems when others have long given up. I would add that unless the excellent genealogist is also able to communicate it won't really matter how much he or she thinks outside or inside the box, his or her clients will never know. The author also makes a case for writing research reports by the average, non-professional researcher. There is a good reason why anyone who does research should record the results in a format that allows everyone, including the researcher, to understand what has and what has not been discovered. My own opinion is that there are only certain types of research issues that warrant a formal report unless the research is being done specifically for some one besides the researcher. There are times when I wish that one of my ancestors had been a lot more verbal about their conclusions and the choices they made, but I am not completely convinced that every research conclusion needs a narrative explanation. Most of my research is incremental with obvious sources that add one or more dates, places or events to each ancestor. I could not expect anyone to want or need a detailed explanation about how I found a U.S. Census record and why I concluded that the record could be used as a source unless the issues involved were so complicated as to need such an explanation. The examples given in the chapter involve situations where the records are deficient in some way and the conclusions drawn are less than certain. In these types of situations, it is entirely possible that a research report would be helpful for both the continuity of ongoing research and for the benefit of other researchers. I can certainly remember a number of my own research situations that would warrant a narrative report, but there is another issue, not raised in the chapter, that involves the evolving availability of sources. Some of the research issues I had years ago have now been easily and quickly resolved. Having a research report would not assist me in finding answers to those questions since the limitations I faced at the time have evaporated. Let me give a hypothetical example. Years ago, I tried to use the microfilm copies of the U.S. Federal Census records without success. Had I written some kind of narrative at the time, I would have noted the need to find certain documents, including the elusive census records. Today, searching the U.S. Federal Census is rather straightforward. Yes, there are still elusive ancestors, but my difficulties and conclusion of many years ago now seem rather quaint and outdated. In some cases, following our historical research paths keeps inside our own "box." It might be a good idea to start all over again in many cases. Granted, there are still sources that take a great deal of time, money and effort to acquire, but many of sources that would fall into that category just a few years ago are now readily available. This is one of the few chapters in this very useful and pertinent book that applies heavily to the professional and is not quite as relevant to the non-professional. Would we all benefit from becoming more professional? I certainly think so or I would not be writing this very long review of this particular book. On the other hand, there should be a generous leeway given to those who have neither the interest or inclination to become paid professionals. On the other hand, this chapter does give us all an insight into that aspect of professionalism. A little over a year ago Genealogy's Star passed the 2 million views mark. Some time in the next few hours, Genealogy's Star will pass the 3,000,000 views mark. That is more than a million views in one year. If you add in the views of my Rejoice, and be exceeding glad... blog and WalkingArizona blog, the number increases to almost 4 million, (3,897,144 to be exact). That is a lot of genealogy and photography. Just in case you are wondering, I do feel the pressure of all those people reading this blog and I do thank each and every one of you for putting up with my sometimes obscure ramblings. Some history might be helpful to understand what this means. I started writing this blog in 2010 so it has been about five years. I have written 3953 blog posts, which averages out to 790 or so a year or just about two every day for five years. Obviously, some days I write more and some days I do not write at all, but I average two posts a day. Now, most of the common advice to bloggers cautions them to post about once a week because many readers might think your writing every day was spam. Well, spam or not, I just have a lot to say. How do I think of new topics? Unless I am very tired, all I have to do is start typing and the words just flow out. Really. Sometimes I have ten, twenty or more potential topics in a list. Other times, I review almost 300 websites and blogs and gather ideas. Much of the time, there is news that needs to be reported or commented on. Genealogy is a very broad subject and there is always something happening somewhere in the world. When will I stop? About the time certain areas of the Arizona desert freeze over.